Delhi: NITI Aayog with INK today conducted a special INK Salon. The Salon with the theme “Designing the future” saw national and international speakers sharing a global perspective on how emerging technologies will drive innovation across the world. The Salon saw talks on topics ranging from design thinking and technology to health, governance, and finance. 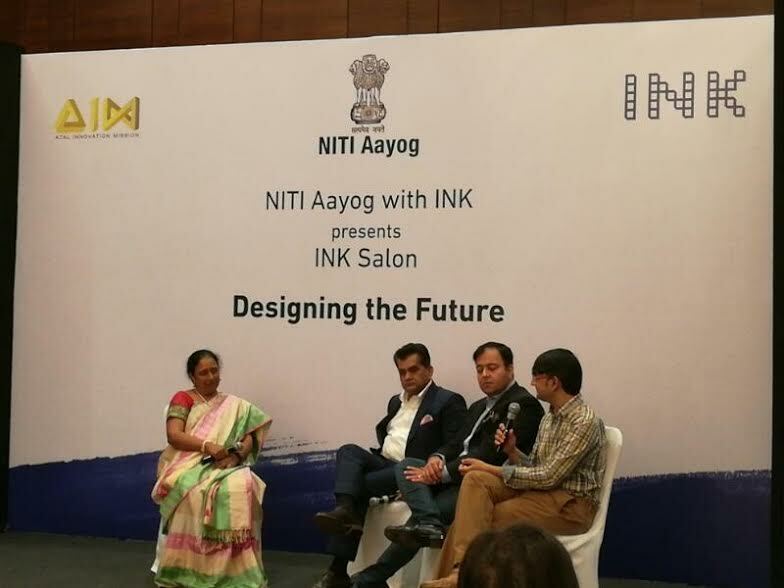 The event was co-hosted by Amitabh Kant, CEO of NITI Aayog, who delivered the keynote speech; and Lakshmi Pratury, CEO of INK. A carefully curated audience comprising industry leaders and Government officials attended the event. INK Salons are hosted at organizations, special venues, and campuses throughout the year. INK Salons are short format events where attendees can network with peers and learn from inspiring talks by a diverse set of speakers. Speakers at the INK Salon included George Kembel, Cofounder for the Stanford d. school, Divya Chander, Faculty, Medicine, Singularity University, Aaron Maniam, Director, Industry Division, Ministry of Trade & Industry, Singapore, Brock Pierce, Managing Partner, Blockchain Capital, Chair, Bitcoin Foundation, Matthieu Riou, CTO and Founder of BlockCypher, Abhijit Bose, Cofounder & CEO, Ezetap, Samyak Chakrabarty, Managing Director, X Billion Labs, Umang Bedi, ‎Managing Director, India & South Asia, Facebook, Lalitesh Katragadda, Technologist, and Dr. Prabhat Ranjan, Executive Director, TIFAC – India’s Technology Think Tank.